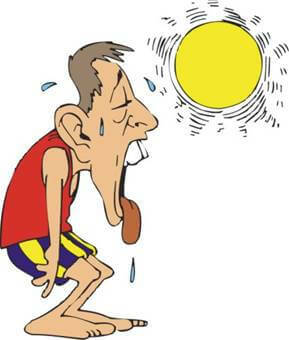 Heat exhaustion is the result of your body overheating. Symptoms include heavy sweating and a rapid pulse. It’s one of three heat-related syndromes, with heat cramps being the mildest and heatstroke being the most severe. Exposure to high temperatures, especially with high humidity and physical activity, can cause heat exhaustion. Without immediate treatment, heat exhaustion can lead to heatstroke, which is a life-threatening condition. Fortunately, you can prevent this. If you know you will be out in the heat there are many different things you can to help prevent heat exhaustion and dehydration. 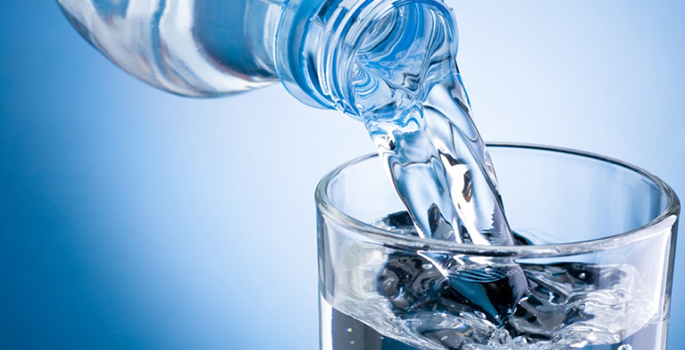 The first and most obvious thing to do is to drink plenty of water!! Take a water bottle wherever you go and drink it. Your body loses water when you sweat so you need to continuously replace that water loss. Drink water throughout the time you are outside in the heat and especially when you are being very active like; walking, running, playing tennis or some other sport. Loose clothing allows the body’s cooling system, sweating, to work more efficiently. Cover up your skin from the sun as much as possible and wear sunscreen. Sunburn affects your body’s ability to cool itself so protect yourself outdoors with a wide-brimmed hat and sunglasses and use a broad-spectrum sunscreen with an SPF of at least 15. Reapply it often especially if you are sweating a lot or swimming since sunscreen can be washed off. Be on the lookout for heat-related problems if you take medications that can affect your body’s ability to stay hydrated and dissipate heat. Some medications can make you sensitive to excessive exposure to sunlight and heat. Be sure you know all about how your medications affect your body. If you take medications or have a condition that increases your risk of heat-related problems, such as a history of previous heat illness, avoid the heat and act quickly if you notice symptoms of overheating. If you participate in a strenuous sporting event or activity in hot weather, make sure there are medical services available in case of a heat emergency. This is a common cause of heat-related deaths in children. If the temperature outside is in the nineties, then it can easily be well over one hundred degrees in your car. Just leaving the windows down is not enough to bring the temperature down to safe levels!!! If left untreated, heat exhaustion can lead to heatstroke, a life-threatening condition that occurs when your core body temperature reaches 104 F (40 C) or higher. Heatstroke requires immediate medical attention to prevent permanent damage to your brain and other vital organs that can result in death. Go to Rio Grande Urgent Care or call 9-1-1.